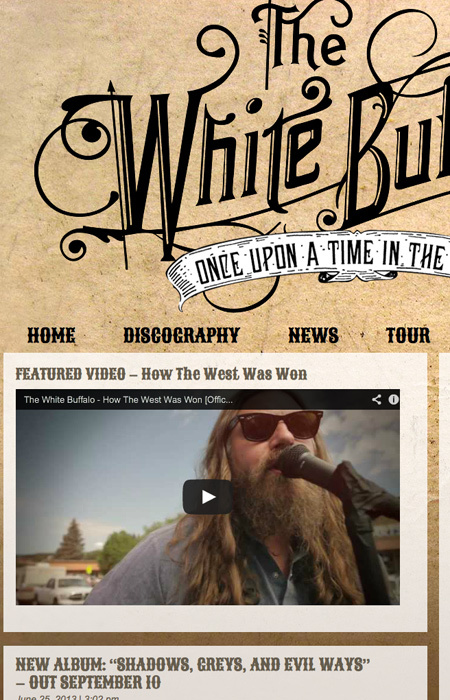 The White Buffalo is one busy troubadour. With tracks featured on multiple episodes of “Sons of Anarchy” as well as the soundtrack to the new “Lone Ranger” summer blockbuster it’s no wonder the guy’s in top demand. The website is WordPress-based and Señor Buffalo maintains it on his own from the road.